Hello everyone, and welcome to 2014! May this year bring all that you hope for, health and happiness. With 2013 now behind us may we all look forward to a wealth of good times ahead, with something positive to focus on and aim for. Scrapville looks forward to offering so many new bits and pieces this year, from our New Classes, Instructors, Creative Teams and an Uber Exciting Retreat! Personally speaking, the Old Fart has happily settled into his new abode, and the family is much more comfortable with the set up. His new pad is adorned with photos of the Little Fart, and some of the family! The Little Fart, recently acquired from the Old Fart, is finding her niche by adamantly protecting Me and the house from the Blokey Man that lives there!! Attempts to round up the cat have been met with a stern "I don't think so..." stand off, and one can only hope the Little Fart keeps to a speedy gait ahead of the Big Fella whilst he lifts his towering leg at every available opportunity. As I said, lots happening! There is going to be lots going on this year, and I look forward to all that is New and Exciting. I will be updating each little tidbit as we go along, so please ensure you are signed up for our Newsletters. Be part of the excitement, and keep inspired. Anita has created some great designs for this month's sketch, so be sure to have a go. Our January Sketch Challenges are due in Pumpkin Time January 31st. Don't forget, Pumpkin Time is Midnight on January 31st. Congratulations to Judy Laracy for her December Sketch entry, Sunset. You can collect your Prize Voucher at Scrapville. Thanks to everyone who entered this challenge, and to Anita for her Sketch Designs. Run out of time to do the ScrapBursts? Over all the Festive Fuss? Well, this is what we've got - another ScrapBurst challenge. I know everyone finds the Silly Season a little daunting, and with all the added running around we don't quite get around to tackling all those scrappy things we'd much rather be doing. Hence, a very poor result for our famous ScrapBursts. Well, clear the Table, it's time to greet 2014 creatively with a bit of scrapping and cardmaking because we're going to have another crack at it! I have changed up the challenges for you, all you have to do is follow the criteria for each of the ScrapBursts or Card Bursts and complete your projects. Due in by Pumpkin Time Friday 7th February. If you missed out this time you may want to contact us to make sure you have given us the correct contact details. Otherwise there is still the option to come in on a Friday Night CropVille or Saturday afternoon, whilst there are still Kits available, just let us know. Re-commencing Wednesday 8th January 2014. Come along and join us for an afternoon of scrapping or cardmaking. Work on your Cards to cover this year's Birthdays and Occasions, or finish off those layouts you've been putting aside! We're happy to assist, and there's plenty to choose from in the shop. Everyone is welcome but we would advise that you book first. Don't forget to check out our Clearance & Sale Items that have been drastically marked down. We have a whole section in the middle of the shop that is being updated weekly, so plenty for you to browse through. It's time to look at getting to work on your layouts for this year's Annual Show. The Classes are listed below, and you have plenty of time to put into working on your entries to support the local community and our Show Society. 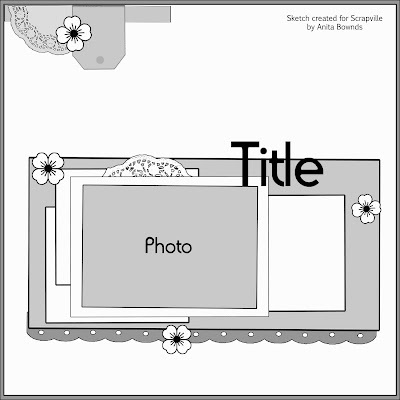 Everyone coming into the pavilion loves to see the scrapbooking, so even one entry is sure to make a difference. won 1st Prize in Section 47 is not eligible to enter Section 47. STEWARDS claims the right to check exhibits for correct class entry. All entries must be BONA FIDE work of exhibitor. Entries close 4.00pm Wednesday, 26th March, 2014. All entries to be lodged with the Secretary,Secretary’s Office, Showgrounds or by post. Secretary, Wodonga Show Society Inc.
All late entries - 70¢ per entry. EXHIBITS may be collected between 10.30am & 12noon Sunday, 30th March 2014. NOTE: Entrance through Richardson Street Gate. More Colours of Shimmer Papers in A4, A good versatile all-rounder, the Helmar Acid Free Glue. Quickfix Tape Runners. The small Helmar 450 glues. Replacement plates for the Cuttlebug & Big Shot Die Cutting & Embossing Machines. These are a Universal brand and available now. More Dimensional Tiles, Vintage Lace Posies, Vintage Hat & Decorative Pins, Carded Vintage Lace & Motifs. Tombow Adhesive. Embossing Folders. Rubber Stamps. Cricut Mats, Cricut Spatulas, Xyron products, Zig Adhesives & Markers.